If you pay the trash collecting charge, you must have noticed that less garbage is better not only for the environment but also for you budget. Are there any efficient ways to decrease the amount waste accumulation in your regular domestic life that are really worth trying? - Do not overstuff your home with useless things. Anything that cannot be processed to end up, repurposed or recycled it ends in the trash bin. Think carefully about what you need and how to use it, before even buying it. There is no reason for food left-overs to go to the garbage (this is not valid for fish, dairy products and meat). Taking good care of your yard will assimilate most of the house food scraps. 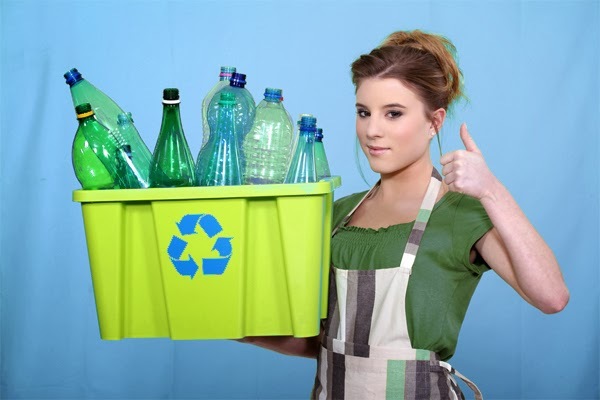 - RecyclingIt is not just following the green way of life that leads to recycling. It also affects the amount of garbage we produce and it is even cash convertible. Makes you think about it, doesn’t it? This is the so called “turning trash into treasure” method. Be creative and think of how some good old things can be transformed into good new ones or parts of new ones. Browse the net to find useful ideas for old things. Try to limit your trash to the smallest possible container and make sure to use every possible space with compacting thrown trash. Keep those dirty pests away by tightly closing the trash sack. Once in the trash they are easily spread over your property and you will have to turn to professional exterminators for help. Many contemporary products come in a various packages that normally are of no use. Keeping a huge arsenal of similar products that just burden the family budget, occupies space and produces a lot of unnecessary waste. For instance there is no need of having cleaning products from different manufacturers and scents for windows or upholstery. Domestic cleaning may be successfully performed with a few cleansers only plus some natural recipes, right? Make things last longer by repairing them instead of buying new ones. As regards to reducing the amount of waste disposal, the adequate and on-time decisions are preferred. The rule is simple - Buy used, donate used and sell used.